This has been a sad week, for democracy, for freedom, for free speech ... and for environmental activists of all ilks, along with unassuming backyard (and front yard) growers, and single moms with tragic stories. Let me share some stories with you to show what happens when insanity and evil meet — and egg each other on. Tim DeChristopher was sentenced the other day to two years in prison and a $10,000 fine. Tim has become a hero, especially in the United States (centre of the universe when it comes to insanity teaming up with evil ... but beware, it's contagious) where he protested an illegal auction of public lands for oil and gas drilling by bidding on land he didn't have the money to buy. Sounds more prankish to me than criminal — making his prison term outrageous, considering that the people responsible for BP's massive Gulf of Mexico oil spill and America's financial meltdown have served exactly ZERO TIME in jail. But the story of his act of civil disobedience is deeper than it sounds. Please take the time to read the official statement Tim read at his sentencing hearing. It's a chilling indictment of what Will Potter, in his new book Green Is the New Red: An Insider's Account of a Social Movement Under Siege, calls "coordinated campaigns to target and repress dissident voices" and "using fear to push a political agenda." Our friends, Dirk Becker and Nicole Shaw (I've talked about them before), own a piece of land in a rural/suburban part of Vancouver Island that was devastated by its previous owner who scraped it bare of its topsoil, sand and gravel, presumably selling off all those materials by the truckload. When Dirk bought the land, it was 4 feet lower than the neighbouring properties — a big hole. Over the years, he and Nicole have built the soil back up and turned their large backyard into a green garden oasis by inviting landscapers and local farms to drop off grass clippings, wood chips and manure to be composted. The District of Lantzville is now threatening legal action — apparently growing food in their backyard to sell at a local farmers market is an illegal commercial use of their land, even though scraping it bare and selling it off wasn't. You can read their story here. The situation keeps getting crazier and crazier and now the Lantzville Council has told Dirk and Nicole that they can't be street vendors at the town's street fair in September. How small minded and petty can you get? 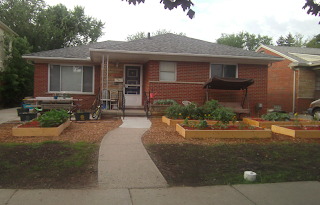 Then there's the woman in Oak Park, Michigan who planted veggies (oooh, scary vegetables!) in her front yard after it was torn up for sewer repair or some such thing. Oak Park charged her with misdemeanours for growing "unsuitable" and "uncommon" plants, and threatened her with three months in jail when she didn't comply by tearing up her raised beds. After a social media hullabaloo, the town decided not to proceed, but instead started harassing her about dog licenses that she had already purchased. Truly our world is going bonkers. Raquel Nelson, an Atlanta-area single mom of three children, was convicted of second-degree vehicular homicide after a hit-and-run driver struck and killed her 4-year-old son while they were jaywalking one night after getting off a bus. Not a single one of her jurors had ever taken public transit, so it was definitely not a jury of her peers. And how the hell can you be convicted of vehicular homicide when you're the one on foot? I just don't get it. Raquel was threatened with three years in prison, which would have taken her away from her other two children at a devastating time in their lives. I am happy to report that the sentencing judge separated insanity from evil and did not send her to jail. Raquel received 12 months probation and 40 hours of community service. (The man who hit her son spent six months in jail.) I cried tears of relief when I heard her news. And finally, here's one that made me feel sick to my stomach because it happened to a friend and it came from high places — in my own country. Eco-artist Franke James was invited to put on a solo art show in Europe, organized by NGO Nektarina, a Croatian non-profit dedicated to "educating, connecting and inspiring people to care about their communities and their environment." Oooooh, scary stuff! Turns out Canada's Conservative government (you know, the party that won the election with only 40% of the vote of only 60% of eligible voters) can't stand that Franke, who actually has brains and a conscience along with wit and talent, has questioned the environmental wisdom of its leader. Read the story of bullying, intimidation and coercion here. And let's not even mention the story of the young girls who had their lemonade stand shut down by police. For heaven's sake!!! Folks, there are some seriously nutzoid people running our countries and our communities. And their stranglehold of a worldview based on unceasing economic growth with ecological suicide on the side is, it is increasingly clear, pure evil. If we don't start acting up and being highly vigilant, we'll be going down the tubes faster than even the climate change emergency will take us. Sanity and compassion, repeat after me. Sanity and compassion, sanity and compassion, sanity and compassion. When we lived for two years in Toronto, Canada's largest city, I learned that there exists a very specialized area in the counselling field: couples renovation therapy. It seems that buying a home is easier than renovating one. Buying a home involves dreams and goals and wishes. Renovating a home gets partners down to the nitty gritty of what they truly want to live with in their daily lives — and often, partners cannot come to agreement as they turn their dreams into reality. I'm now realizing that there should be another sub-specialty in therapy: counselling for couples who are differently aligned with or not both committed to the fight to safeguard the future from climate chaos. I'm hearing more and more about couples struggling, setting ground rules, getting counselling, even breaking up because one partner is more committed than the other and spends more time working on climate change than the other. Here are some of the scenarios. B is not allowed to talk about global warming and climate change in the home. G is in couples counselling because his wife wants more balance in their life. M has been told if he's going to work that hard on something, it should be bringing money into the family. J sometimes has to explain to her husband that she can't spend as much time on climate change as he'd like because they would starve wearing filthy clothes in a dark, dirty house. Someone in a family has to shop, clean and pay the bills. And dare we speculate that his inconvenient activism might have played a role in Al and Tipper Gore's divorce in 2010? Some spouses simply have a different tolerance level for the pain of thinking about climate change. And without acting, that pain gnaws away at the heart and soul. 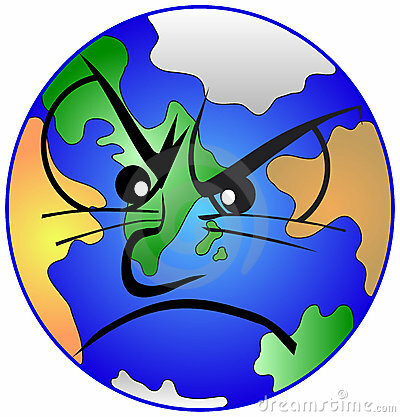 So if one spouse feels he or she can't give much time to climate change (because of work, home or health issues), then they could come to resent all the time spent on climate change by their partner ... it serves as a constant reminder of their own pain and inaction. Where does compassion come in? Well, on both sides. Climate change super heroes, you have to remember that your spouse likely didn't marry you for your interest in safeguarding humanity's future. You, likely, have changed — along with the climate. So, please, at the very least, keep this in mind when your spouse begs you to take a break and watch a movie or go on vacation without your computer. Respect your partner's need for companionship and time together. And spouses, well, change happens, even in the tightest of relationships. 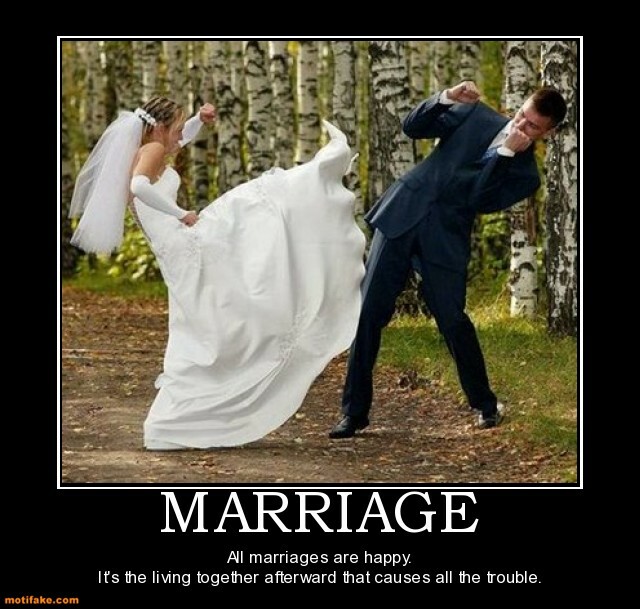 Heck, if the global climate can change, you can't expect your marriage to stay the same forever. Blame it on the deniers! If it weren't for them, your spouse's climate change activism would take a lot less time. So either decide to be grateful for your super hero's commitment to the future of all the children of all species, or take just a few minutes each week to write a letter — to a denier, or an elected official, or a media outlet. Learn how action serves as a painkiller ... that the pain subsides when we do something. And whatever you do, please don't give your resident climate change campaigner an ultimatum ("it's climate change or our marriage"). First, we need all the help we can get! And second, you might not like the choice he or she makes. My heart goes out today to every couple who never imagined that climate change would come between them. And may your hearts go out every day to all those in the world already losing their loved ones or their livelihoods, their food security and water sources, their homes and their entire homelands because of this dastardly climate change emergency. Let's be supportive of each other and ensure that our homes are our refuges from the loneliness of doing this important work. Till death do us part. "Forgiveness can heal even the most grievous offence. It brings a blessed opportunity for a clean start. So, let's be forgiving. Let's open the door to hope." Can forgiveness heal the greatest crime(s) ever against humanity and the rest of Nature? Hitler ... Stalin ... climate chaos ... the end of most life on Earth? I can see where forgiveness frees the forgiver, but should people who commit heinous crimes actually be forgiven? By society I mean? Hmmm. But what if we did apply this notion of forgiveness in the search for a solution to climate change? What if the "little boys" (is it just me or does it seem to be mainly guys responsible? I suspect that women could have more influence in stopping wars or slowing the progenycidal spread of our Western economic system if they tried, but it's mostly men who are the perpetrators — and please feel free to point out any errors in my logic or thought patterns) who have created the climate change emergency through their incessant need to keep winning were not only shown the error of their ways but forgiven at the same time? What if the climate change emergency is ramping up because these men don't want to admit that their "games" have been hasty, wrong, ill-conceived, dangerous, even murderous? What if they feel guilty deep inside but don't want to face their guilt — or their crime? What if they're simply like young children who won't admit the truth if they're afraid of the consequences? This strategy might be a bit far-fetched, but what if it works? What if it gives these people a chance to save face, to admit that the globalization game of More, More, More is not viable, even survivable? Or, to be totally cynical, what if we just said we forgive them, in order to be able to blame them in the first place? (Ouch, eh?) We are getting desperately desperate in our search for something — some strategy, some hero, some idea — that will turn this game-changer (global heating, climate disruption, ocean acidification) around. 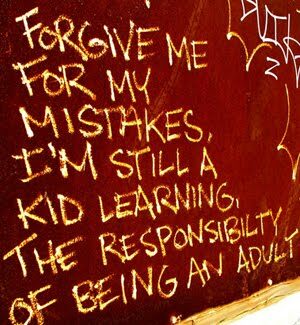 With forgiveness in our hearts, let's call on the people who are most at fault and ask them to change the game to one that will ensure a future for the children. We can still let them feel that they're winning, but in the end, a solution to the climate change emergency will make us all winners. Is Mother Nature Really Starting to Get Pissed Off? And Who's Paying the Price? Or is it just my imagination? A cougar had to be shot in downtown Sidney, British Columbia (here in Canada) the other night. Cougars are so dangerous (to humans and other prey) that the conservation officer was afraid to take any chances with tranquilizing and relocating it. Strange orange-backed bees are attacking people here in my rural community. One young man I know couldn't see for days after a sting swelled his eye closed. Rodents of all sizes are moving into residential neighbourhoods en masse. And coming out in daylight hours — a bad sign! Our weather has gone all wonky. It's dark and dreary here in the middle of summer (which really hurts this week because I'm running my Nature Daycamp, though I suppose the upside is the complete lack of sunstroke possibility). Alas, it's been crossing my mind lately that perhaps Mother Nature isn't going to take it all lying down. Maybe she's thinking, "Exterminate your species all you want, but you're not taking the rest of us." Here at the port of Djibouti, thousands of metric tons of food assistance are ready to be shipped as part of the U.S. response to the massive drought currently ravaging the Horn of Africa. USAID is mobilizing nutritious split peas, along with vitamin-fortified corn-soya blend and other commodities, from warehouses around the world to assist the more than 10 million people in Kenya, Ethiopia, and Somalia most affected by the drought. The USAID-funded Famine Early Warning System Network (FEWSNET) began warning of the possibility of this crisis as early as summer 2010. Today, it has developed into the region's worst drought since the 1950s. Consecutive seasons of poor rainfall have resulted in failed crops, dying livestock, and sky-high market prices -- the cost of staple cereals are 40 to 240 percent higher in some areas. Malnutrition has reached emergency levels: one out of every two Somali refugees arriving in Ethiopia and one out of every three arriving in Kenya is acutely malnourished. Does anything jump out at you? Once again we are, with ever increasing finesse and detail, documenting the impacts of global climate disruption on the world's most vulnerable — but doing nothing to prevent these impacts. An early warning system for famines? Do these people not realize their foreshadowing? Do they not see that what is befalling these African nations serves as an omen for the future of our children here in "western" developed countries? A friend sent me a link to Jeff Goodell's piece in Common Dreams, Time for Climate Activists to Get Tough. Articles like this always do a number on my head (and heart), because I'm the sort who spent years picturing "Julie was a nice person" as the epitaph on my gravestone. I just don't know how I'm ever going to "get tough," as Goodell suggests (as he writes of taking to the streets, expressing some outrage, and maybe engaging "in a little guerilla warfare against Big Oil and Big Coal"). "This question of how far to take the fight to stop global warming has haunted activists for years. But now that more conventional solutions, such as a global treaty to cut greenhouse-gas pollution, are dead, the issue is more pressing than ever. As the crisis grows, the temptation to turn up the volume with more dramatic and attention-grabbing protests will only increase. Climate activists often speculate about who will emerge as the Martin Luther King of the climate movement. But it may be equally relevant to ask who will emerge as the Malcolm X." "Close your eyes and listen. Hear the hum that is powering your life. We need energy. We need it to live, to light, to help us read cereal boxes, to bring us music, to power our computers. Few of us can walk to work, fewer still want to vacation in our backyard. The truth is we can't conserve everything. This isn't an excuse. It's reality. But there is something you can do. Today. And it's easy. Learn about the simple things you can do and take action. Switch to energy efficient light bulbs, walk and cycle more, use less water, buy local produce and foods. It's all small stuff. But here's the thing: if your neighbour does the same thing, and your neighbour's neighbour ... now that adds up to something substantial. That's why [this organization] exists - to help you, regardless of your age, do something amazing, one small, magically simple step at a time." Is it just me, or is that a bunch of mind-numbing drivel? Dammit, environmental groups should be encouraging revolution! Mass shutdowns! Teenagers getting angry at the adults in their lives! A rapid transition to zero-carbon energy technologies! An urgent response to the climate change emergency! ENGOs who are still encouraging "small, simple steps" more than 40 years after the first Earth Day, well, I'm thinking they're going to look like vacuous idiots when the climate change sh!t really starts hitting the fan. Here's the trailer for a movie coming out this summer: Just Do It: A Tale of Modern Day Outlaws. I want to be as brave as these (mostly) young people, but in the meantime, I'm going to lambaste the ENGO who wrote that twaddle.